The entrance of Monte Dei Paschi di Siena is seen in San Gusme near Siena, Italy, September 29, 2016. The European Central Bank has sent letters to lenders it oversees giving them individual mid-term deadlines to fully write off their non-performing loans, a person familiar with the situation told Reuters Breakingviews on Jan. 15. The letters were as part of the ECB’s annual regulatory capital checks. 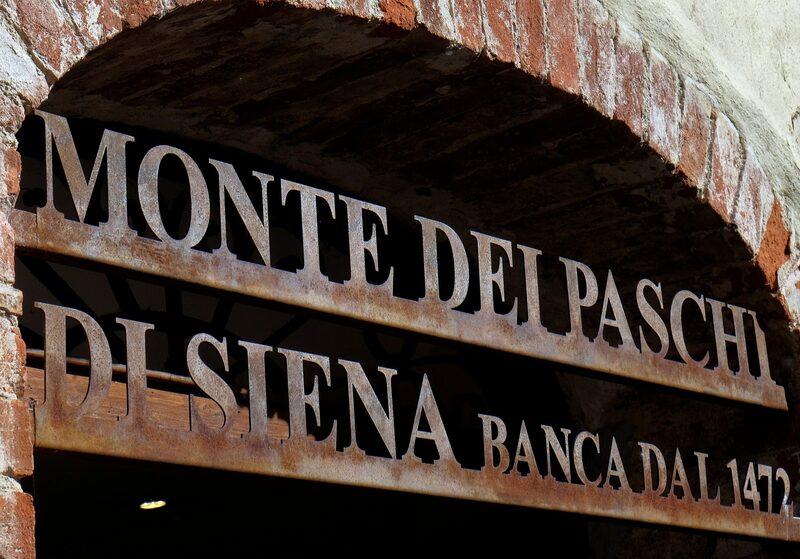 Shares in state-controlled lender Banca Monte dei Paschi di Siena plunged 8.5 percent on Jan. 14 and were suspended after the bank revealed that the ECB had asked it to fully write down all of its non-performing loans by the end of 2026. Newly agreed EU rules give banks up to three years to fully cover unsecured exposures and up to nine years to cover bad loans backed by collateral such as real estate. The rules apply to new non-performing loans, not to the existing stock. European banks had 722 billion euros of non-performing exposures at the end of June 2018, with an average ratio of provisions to bad loans of 46.4 percent, ECB statistics show. Of these, 183 billion euros were held by Italian banks. The Bank of Italy said on Jan. 10 Italy’s banks had 37.5 billion euros of net non-performing loans at the end of November.